TP-LINK, a global provider of networking products, today announced its new AV500 Gigabit Powerline Adapter, providing industry-leading performance, hassle-free set-up, for an instant, secure high-speed network for the home or office. The AV500 Gigabit Powerline Adapter provides high-speed streams at up to 500Mbps on a line length of up to 300 meters, creating an incredibly fast, robust network. At these speeds, the AV500 Gigabit Powerline Adapter delivers the performance required for fast, whole home or office solutions to connect all network compatible devices from HD video streaming, online gaming, VolP or any other bandwidth intensive applications. 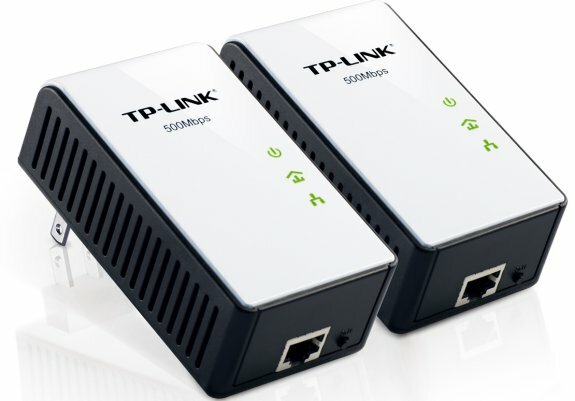 The AV500 Gigabit Powerline Adapter comes equipped with TP-LINK’s Quality of Service (QoS) function which prioritizes the bandwidth requirements of data traffic, guaranteeing clear, instant connections of a device, even when other bandwidth intensive applications like VoIP, video streaming or online gaming are running on the network. The sophisticated Power-Saving Mode on the AV500 Gigabit Powerline Adapter consumes less power when compared with existing Powerline adapters. When there is no data transmission or reception occurring after five minutes, the adapters will automatically switch from their regular "Working" mode to "Power-Saving" mode, lowering energy consumption by up to 85 percent*. The TL-PA511KIT is a new product and will be initially made available in retail stores at Micro Center and online at Newegg.com. It will be expanded into other retailers/e-tailers in the near future. Existing TP-LINK products are available at Fry’s Electronics, Micro Center, B&H, Data Vision, and are also available online at Newegg.com, Amazon.com, TigerDirect.com, Walmart.com and Buy.com. For more details on where-to-buy, please visit us here.